Hands-on sentence shapes help student learn the structures of language. When students obtain a deep understanding of sentence structure, they are able to read and write more sophisticated texts. 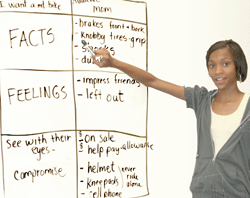 writing models provide the "input" students need to learn writing. 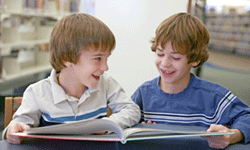 If students read in the genres in which they will write, their writing style and fluency will improve. Students learn writing from reading mentor texts, seeing writing models and receiving explicit instruction. 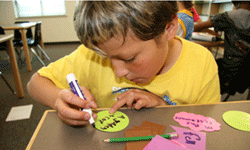 Planners and interactive activities make learning exciting. When students move, act, speak and learn with colors, shapes and sounds, their retention increases by 82%. Writing Alive teachers deliver instruction using multiple learning channels simultaneously, so all different types of learners experience success. Students set goals on rubics to take ownership of their writing growth. Growth is intentional! When students chart their writing scores in bar graphs and see the steady improvement in the quality of their writing, they experience increased motivation and ownership. 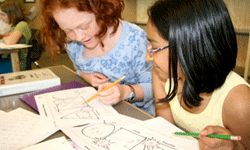 Brainstorming with classmates increases creativity. 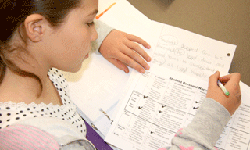 When students analyze, brainstorm, compare/contrast, share and discuss, their critical thinking skills blossom. Student toolboxes provide a place for students to record their learning and graph their writing growth. By recording their new learning of grammar and vocabulary in their Student Toolboxes, students own their knowledge and can access these resources as needed. Daily Sentence Styling gives students the revision edge. When revision is broken into small chunks and practiced on a short piece of writing daily, students internalize the revision skills and become more independent revising their writing. 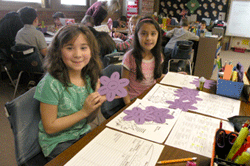 Power Flowers and Word Wheels make learning new vocabulary fun. 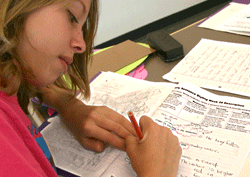 Since students make it their goal to use vivid verbs, specific nouns and modifiers, their writing improves.